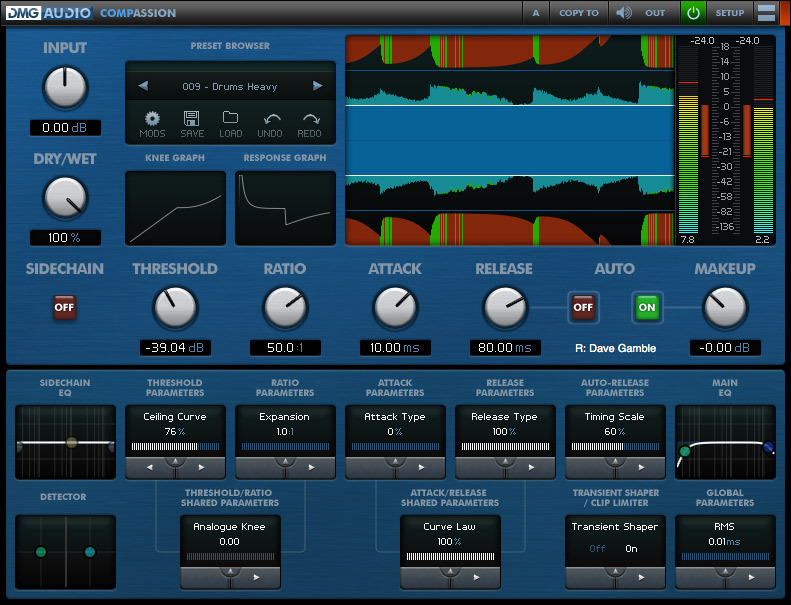 Compassion, Software compressor from DMG Audio. DMG Audio has released updates of its EQuality,Compassion and EQuick effect plugins for Windows and Mac. The next update should include AAX-Native support (free for existing customers). Fixed clip-light handling in ProTools. The updated versions are now available to download from DMG Audio. 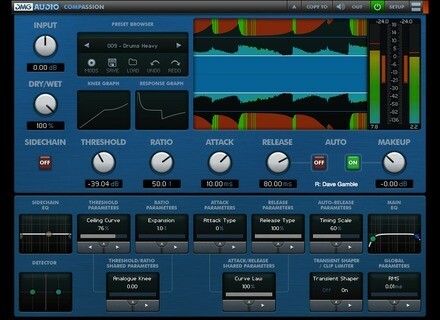 The Lower Rhythm Thresher The Lower Rhythm has released Thresher, a compressor effect plug-in for Windows. rf Music rf Destroyer rf Music has released rf Destroyer, a free VST effect plug-in for Windows. Ueberschall Funky Tonewheels Ueberschall has released Funky Tonewheels, which is described as "a dirty-played old tube Hammond Organ, slightly overdriven, and offers the perfect spice for any production where an authentic organ is needed".